About half of people with autism have learning disabilities, which is why the researchers looked at DNA changes triggered by learning and memory to see whether the areas affected by those changes could be linked to autism. 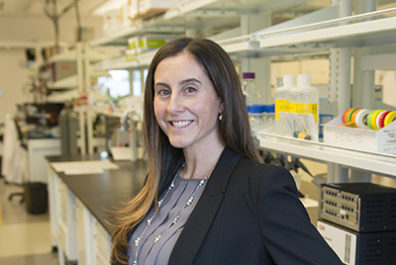 Lucia Peixoto, an assistant professor in the Elson S. Floyd College of Medicine who conducted the study, said their approach could also be used to identify areas of DNA involved in other behaviors that are disturbed in autism—such as sleep and social interaction—and find mutations within those regions. She said their findings help scientists focus the search for autism risk factors within the vastness of our genome, which comprises more than three billion nucleotides—or building blocks—of DNA. Down the line, this could lead to accelerated diagnoses; better predictions of severity; improved timing and effectiveness of behavioral interventions; and the development of drugs that could mitigate the effects of genetic mutations linked to autism. “Ultimately, our goal is to find ways to reduce the burden on families and help individuals with autism to be more functional and have a better, happier experience,” Peixoto said. Read more about Peixoto’s recent research findings.